A New Wall Street Bank Building. 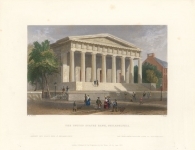 The United States Bank, Philadelphia. Trust Betrayed - A Broken Savings-Bank.